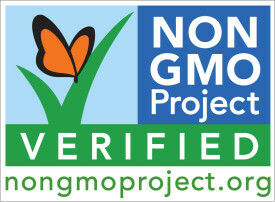 After a thorough preparation over the past year, with the objective to support the increasing demand of its North American customers, Lallemand has successfully obtained the Non-GMO Project (NGP) Verification (www.nongmoproject.org/). With the increasing consumer demand for non-GMO products in North America, raw material suppliers who want to be part of this initiative are requested to provide non-GMO products. “Although Lallemand’s inactive yeast products are not genetically modified, we have taken the extra step in order to meet the more stringent Non-GMO Project standards. The Non-GMO Project is definitely the strictest Non-GMO certification program currently available. The standard goes beyond the absence of genetically modified DNA, and investigates the processes used to prepare all substrates, inputs and processing aids used to produce the yeast. This makes the NGP Verification suitable for consumers who choose to stay away from GMOs” says Joelle Proulx, Director of Quality Assurance and Regulatory Affairs, Lallemand Bio-Ingredients Division. Our product range that has met the Non-GMO Project’s rigorous standard includes whole cell yeast (Saccharomyces and torula), yeast extracts (umami and savory) and yeast autolysates. For European customers, the NGP Verification Mark adds value, since this North American standard is more stringent than European regulations on the genetic modification of food, especially when it comes to substrates and processing aids.